MSPs that struggle to determine pricing for their services sometimes fall into the trap of offering pick-and-choose services and support or even giving away services for free. It's important that MSPs develop offerings and pricing that increase perceived value. The key is being able to clearly communicate that value proposition. MSPs often struggle with recognizing the value of the services they offer and with pricing those services accordingly. And if your services are not priced optimally, you could be missing revenue. Many MSPs will allow customers to lead the sale by offering break/fix, pick-and-choose services and support offerings, versus a bundled and managed solution. Others will give services away at no charge, either to establish new business or to keep a current client happy. Here’s the problem: If you lead with break/fix, sales potential is limited out of the gate and your firm’s value as a trusted technical adviser isn’t realized. If you give away the service, the perceived value plummets to virtually nothing, which means the client won’t want to pay for it–ever. So, what’s the best practice? First, don’t allow customers to nickel and dime services by offering a single-service menu to choose from. The most successful MSPs bundle their solutions and support into a managed service offering that commands a higher perceived value and leads to greater profitability. Moreover, successful MSPs ensure that foundational and business-critical services, such as security and data protection, are always included as part of the deal. Make sure to also stress the unique qualities your business brings to customers, be it level of service, speed of response or proactive reporting. Additionally, never give anything away for free. Everything you do must have a perceived value, and the higher that value, the better. The reality is that perceived value is equal to, if not more important than, the actual value of a service. 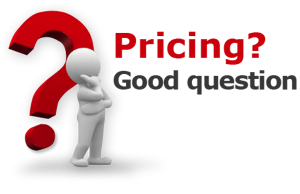 You may be reading this thinking that the concept of perceived value is all well and good, but to overcome pricing objections, there has to be a way to incent the customer. The hard reality is that if the demand for “freebies” is coming from the customer or prospect, maybe they aren’t the right fit for your business. If the push is coming from your sales team, maybe it’s time to reiterate how to best communicate and sell value. With managed services, the value proposition is tricky at times because there is a perception that the services are optional, or an “add-on” feature. Although that may be the case at times where more customization is needed, for the most part an MSP should come to the table with a strong foundation of services–inclusive of data protection and cloud backup–that are standard and bundled together so that a customer cannot pick them apart. There’s a baseline, and then there are additional features. But to get buyoff on the baseline, an MSP must be able to communicate the value of the services it offers to support the technologies it is selling. For example, do the services provided make the business run better or more efficiently? Do they reduce downtime, prevent outages or help secure the business? What’s the projected savings? What’s the benefit to the business? Those are the million-dollar questions that any MSP must be able to answer. Once an MSP understands the true business value, then it will be easier to communicate that value to clients and prospects. Factor in your organization’s differentiators and the in-depth understanding you have of your clients and their priorities, and you can create a package or packages specifically designed to best serve their needs. 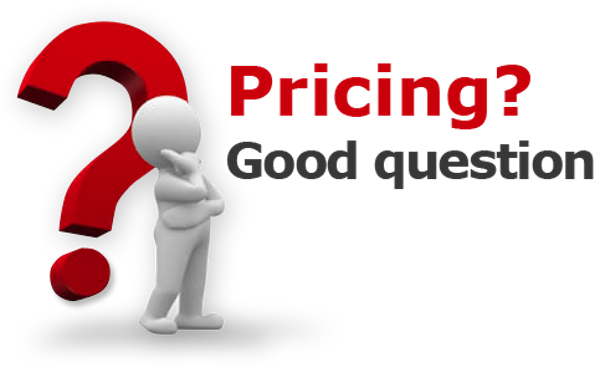 And once your value and deliverables are clear, it is also easier to price the services accordingly. The bottom line is this: Never underestimate the value of the services you provide, and never, ever offer your services for free. Sure, bundling your services takes a little more planning at the outset, but the payoff will be well worth the effort.